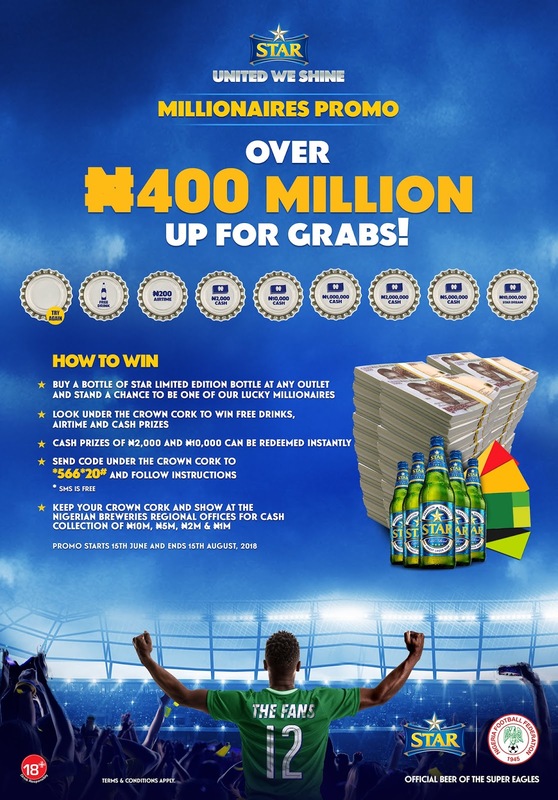 Win Millions in STAR #NigeriaUnitedWeShine Millionaire Promo. You too can be a WINNER in the ongoing STAR #NigeriaUnitedWeShine Millionaire Promo. Simply follow the steps below. Step 2: Simply look under the crown for a code or an instant prize. Step 3: Dial *566*20# on your mobile phone, enter the code and follow the instructions to redeem your prize. Step 4: If you don't find anything under the crown, keep trying. Your prize awaits! Up to N400 Million Naira up for grabs!! Don't miss out!!! Winners are Emerging Already oh!! !